When you are a child, your first loose tooth can be cause for celebration; when you are an adult, it definitely is not. Biting and chewing with a tooth that is not securely attached in its socket can be difficult or even painful — and any tooth that becomes loose is at risk of needing to be removed or, at worst, falling out. It's possible we can prevent that from happening, but quick action is required. To control gum disease, a dental professional must thoroughly clean the teeth of plaque and harder deposits (tartar or calculus) in which bacteria thrive; this includes the tooth-root surfaces beneath the gum line. At the same visit, the patient is instructed on effective oral hygiene techniques and products to use at home. Often this type of deep cleaning, combined with improved oral hygiene, will reduce inflammation and heal the gums enough to cause some tightening of the teeth. We can also reduce stresses on teeth by temporarily or permanently splinting them together like fence pickets so that any biting force is distributed among groups of teeth rather than individual loosened teeth. 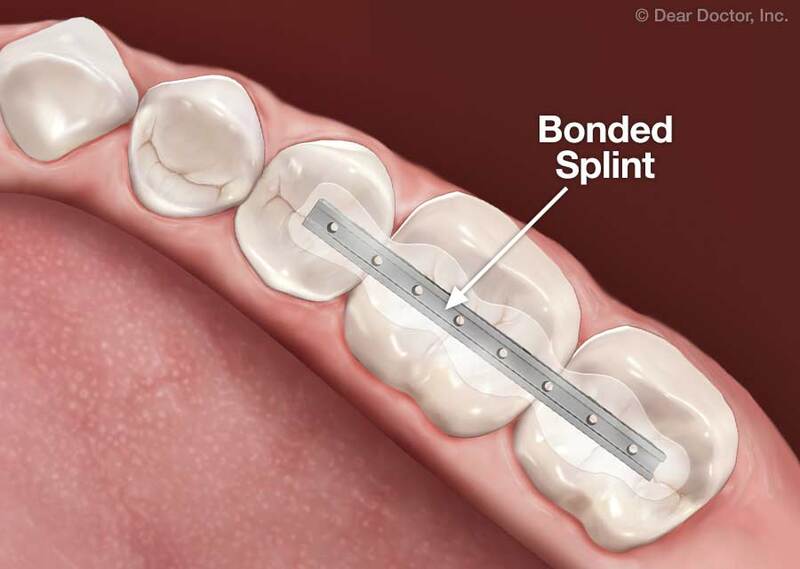 The splint is a very small metal bracket bonded to the backs of or tops of the teeth. Loose teeth can be successfully treated with both biological and mechanical techniques. A thorough examination will be needed to determine the best approach. 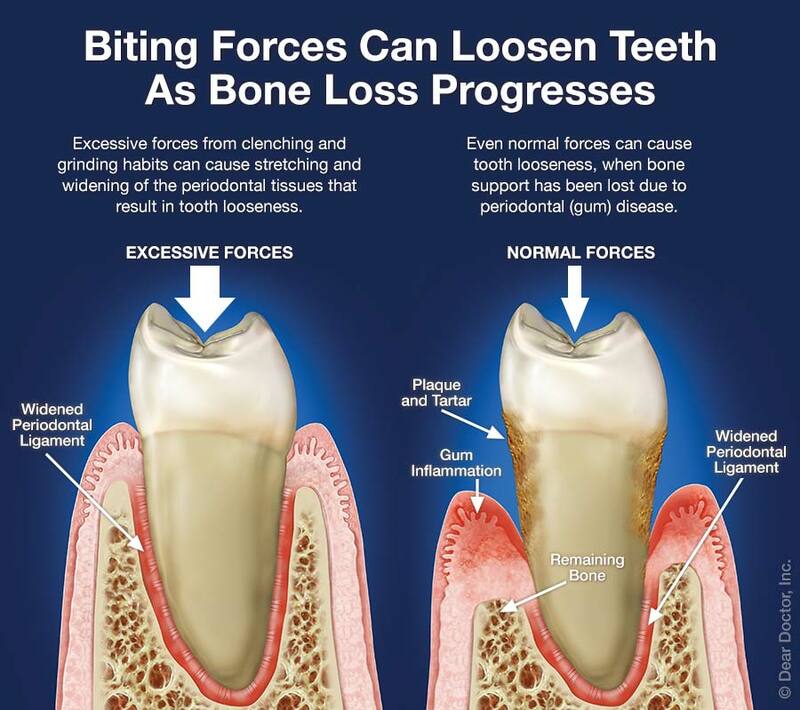 So if you are experiencing tooth looseness, please come in and see us. The sooner we address this problem, the more likely you are to keep your natural teeth.